Mum of Five Staying Sane: No my 3 year old is not ready to ditch the pushchair anytime soon, we don't need your judgement or opinion and no he isn't lazy either! No my 3 year old is not ready to ditch the pushchair anytime soon, we don't need your judgement or opinion and no he isn't lazy either! 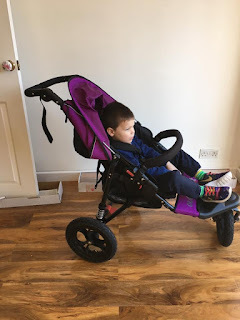 Thing 5 is three years old and for quite a while now it seems others have thought that their opinion was need on his pushchair usage. Well yes Mr and Mrs Opinionated, we do. Not that I need to justify myself at all but here goes. Most of the time now he will walk around the shops, to school and when we are out and about. However, during the week when he is with me and we walk into town or to my parents house he will go in the pushchair. I don't drive (something else for you all to get opinionated about). so for him to walk an hour round trip, although not entirely impossible, would take most of the day! Thing 5 in the Bugaboo Runner, perfect for long walks and running. Ideal for a toddler. If we go into town he is then expected to walk into town, around the shops and then home again. Something he won't do just yet. If we drive into town on a weekend with the OH the pushchair stays at home. On days out he definitely isn't ready to walk around a theme park for the day, even the 6 year old has a grumble about that! 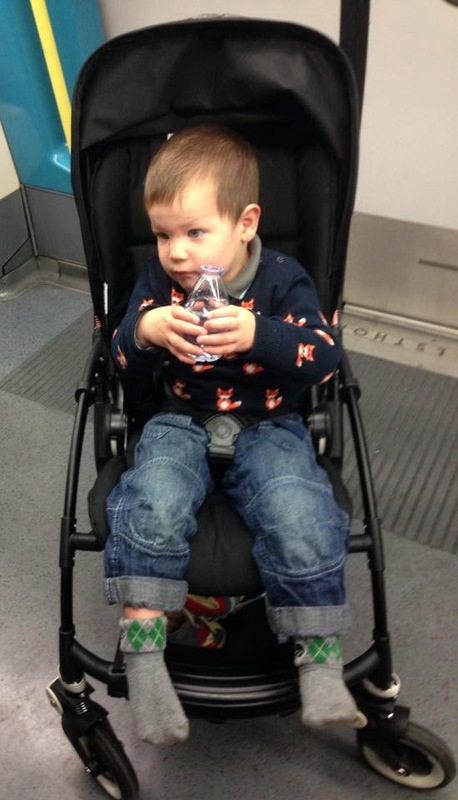 For travelling throughout the year and holidays we are looking for a suitable stroller to take with us too. At the moment we use our Out n About Nipper for long walks which is fab. He has plenty of room and it's so easy to push but for putting in the car or travelling it's just not an option to be taking that anywhere with us. In the Out n About Nipper. 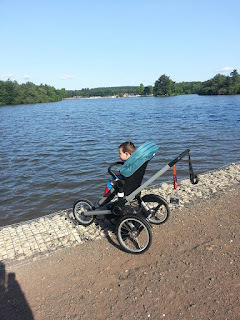 I am currently on the look out for a small folding pushchair for us for the car and trips away. He does still get tired, he still wants to be carried sometimes and on days where we haven't taken the pushchair with us that makes things slightly stressful. 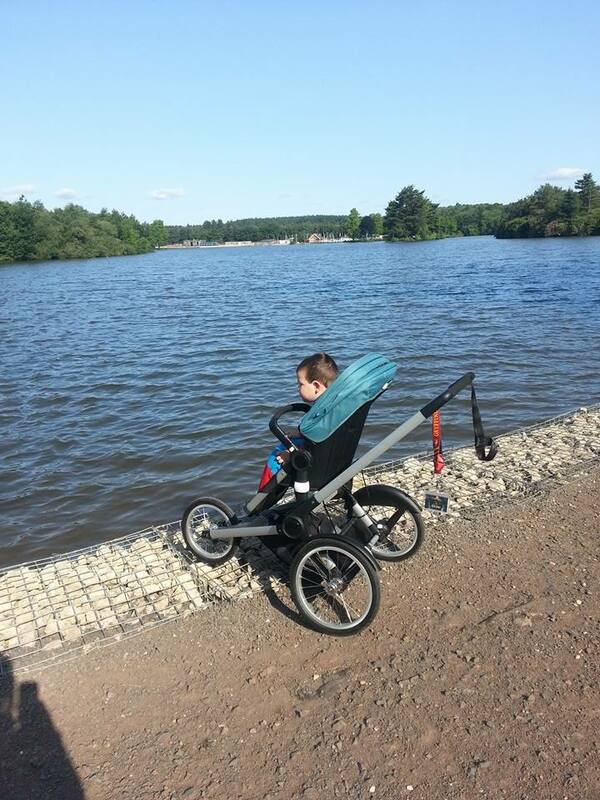 In a smaller folding pushchair, ideal for travelling and putting in the car when needs arise. I am not still trying to feed my pramaholic habit by keeping him in a pushchair and no he isn't lazy. 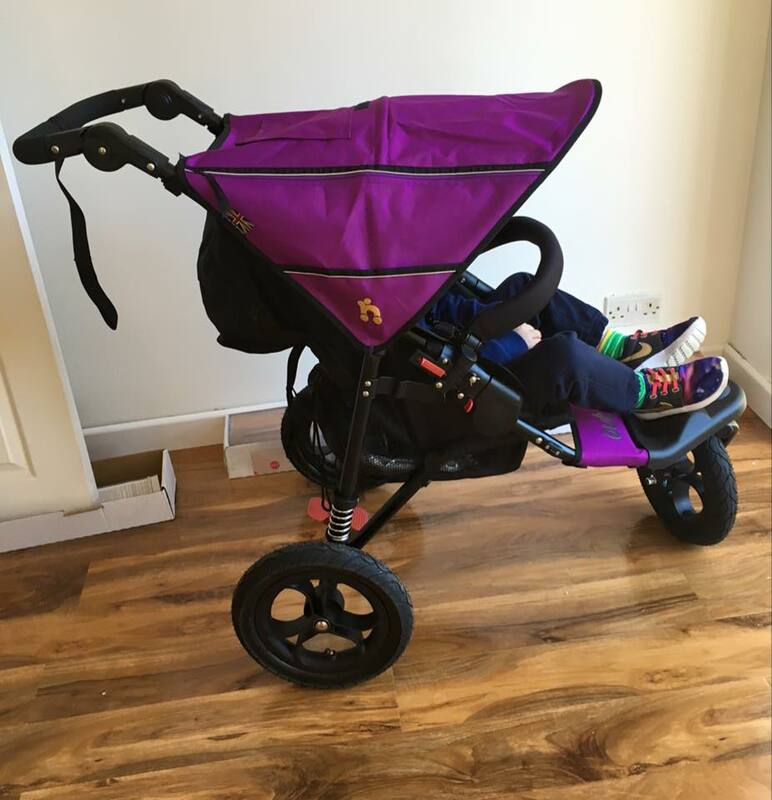 Any suggestions on a lightweight, small folding pushchair that is also easy to push with a toddler in would be very much appreciated.